Make a Donation - Keep the Music Videos Coming! 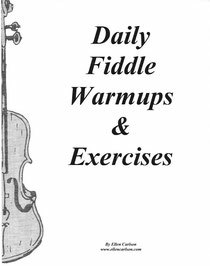 All donations received go towards ongoing costs involved with producing and publishing Ellen Carlson's instructional and practice fiddle videos for free access by students on this website. Donations of any amount are greatly appreciated. *You don't need a PayPal account to pay online with a credit card. PayPal accepts Visa, MasterCard, American Express, Discover or your debit card. You'll have the option to either login to your PayPal account or you can click on the gray box that says "pay with a debit or credit card." Click "Donate" below if you would like to make a donation.